Sponsorship with Amici offers your company the chance to empower young people through the outdoors, while also recognizing your brand among people who share your commitment to this cause. A sponsorship with Amici allows you to leverage the reputation and impact Amici has had for over 50 years, and be part of our story into the future. Amici’s Canoe Heads for Kids, a 15km portage and paddle fundraiser, is Toronto’s most unique fundraising event for your company and employees to take part in. As a Canoe Heads for Kids Sponsor, not only will you have the opportunity to interact with Canoe Heads Paddlers, but also the media and greater community on the pathways, streets and along the waterfront. All of whom will be looking at us, our army of Canoe Heads, and you: the sponsors supporting the trek. 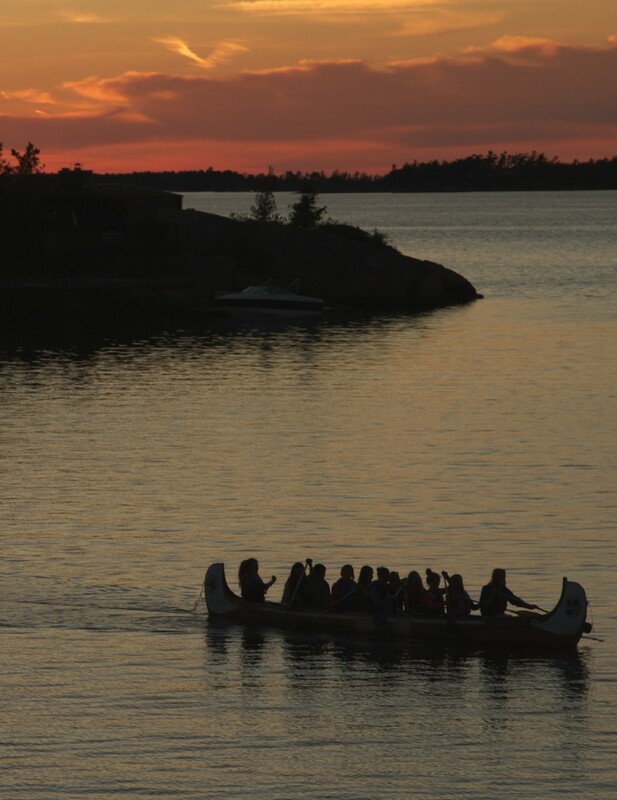 Benefits of a Canoe Heads Sponsorship may include employee engagement, naming, logo placement, presentation rights, and acknowledgment on Amici social media platforms, print materials and communications. the needs of your company and that introduces you to members of Amici’s audience in a meaningful way. Consider a sponsorship that engages loyal community influencers, while supporting young people in discovering their full potential. There are also many other in-kind sponsorship opportunities with Amici. To learn more about custom sponsorships, reach out to Robyn Short at robyn@amicicharity.org or (416) 588-8026. Amici Camping Charity fosters personal growth and lifelong skills in children with financial need through multi-year access to the unique environment of camp.